Kindergarten & 1st grade music concert at East this evening at 7pm. K/1 students should report to the music room at 6:45pm. Looking forward to a great show tonight! Favorite Team Day tomorrow at Unity East! Students are encouraged to choose a shirt or gear from their favorite team to wear for our Fun Friday. Go Rockets! A few East Reminders - Early Dismissal tomorrow at 11:15am; Parent-Teacher Conferences 3:00-5:30pm & 7:00-9:30pm; and Portfolio Night from 5:30-7:00pm. There is no school on Friday, March 22. The East PTO meets tomorrow evening (Wednesday, March 6) at 6:30 in the school library. All are welcome! 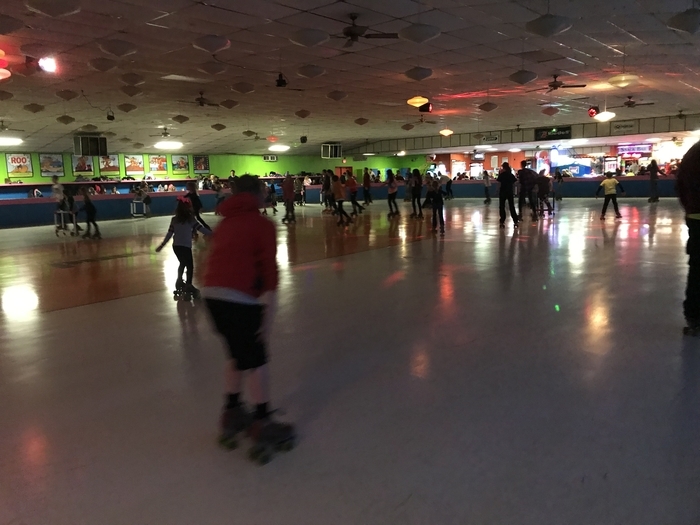 Thank you East & West PTOs for another fun Skate Night and thank you families for the donations to our Rocket Pack program! It’s good to be a Unity Rocket! Favorite Color Day at Unity East - Go Rockets! Favorite Color Day tomorrow at East - Our student senate is hosting the first of our themed Fun Fridays, so choose your favorite color to represent! Go Rockets! 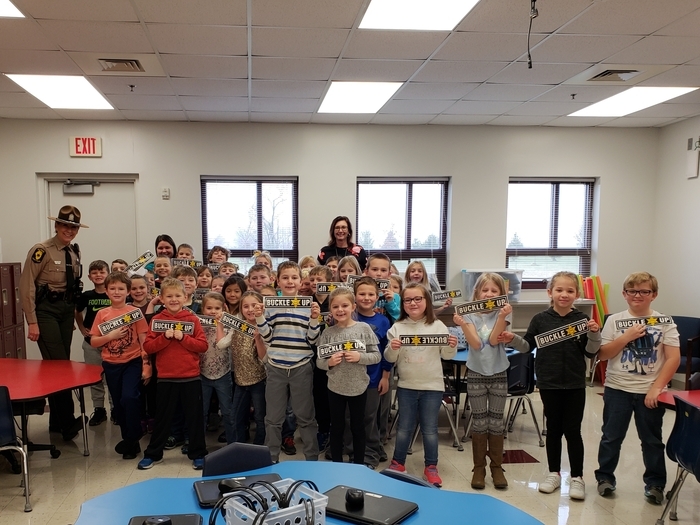 A special thank-you to the Unity FFA group members who came to East to share their experience with FFA and read aloud books on agriculture topics. Thanks also to Mrs. Walden and Mr. McCabe for coordinating. Students enjoyed the visit! Blue Friday - Everyone at East is encouraged to wear the color blue tomorrow in honor of FFA Week. We are also excited to welcome high school FFA members to our classrooms tomorrow afternoon to talk about FFA and agriculture topics. Menu change for Thursday, Feb.21 - lunch tomorrow will be corn dog, corn chips, green beans, & peaches. A few East Reminders: Early Dismissal tomorrow at 11:15am; 3-5 After-School Art from 11:15-12:00pm; Last call for Box Tops! ; And, it's a Rocket Friday, so show some school spirit by wearing your Rockets gear tomorrow. Go Rockets! The East PTO meets this evening at 6:30 in the school library. All are welcome! Order forms and payment for 18-19 Yearbooks are due this Friday, Feb. 1. To order online, visit www.ybpay.lifetouch.com and enter code 13565619 or return order forms with exact paymentl to school by Friday; extra paper copies are available in the office. Unit 7 Schools will be closed tomorrow due to cold weather. East families, if you did not receive a phone call from our alert system at 1:30, you can notify the East office to have your contact information checked. Stay warm, everyone! 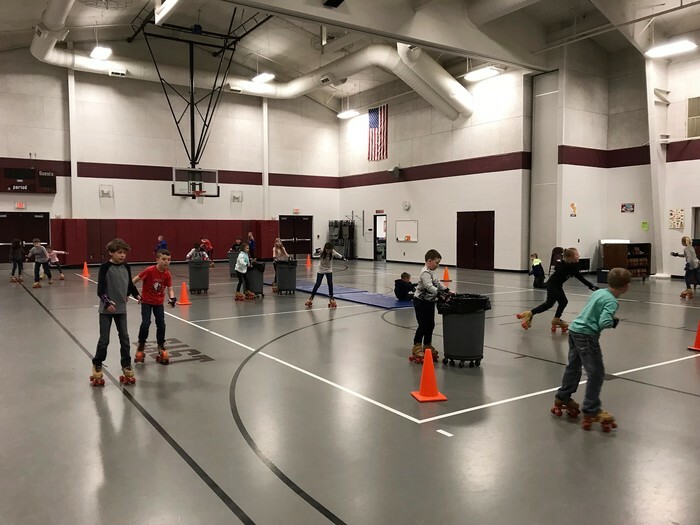 2nd-5th students have enjoyed skating in PE the past two weeks. Special thanks to our PTO for making this unit free to students! Save the date for the 2nd annual East & West Skate Night at Skateland, 5-7pm on Sunday, March 3. Admission is free, skate rentals are $3/person. Early Dismissal tomorrow at 11:15am. It's also a Rocket Friday, so show some school spirit by wearing your Rockets gear. Go Rockets! 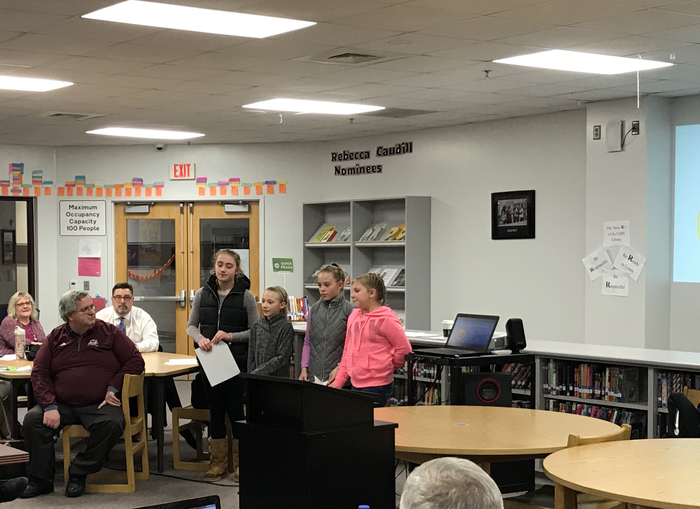 Shout out to our student senate officers for a terrific presentation to our school board this evening! Proud of our student leaders and the work they do for the school. Tomorrow is our first Rocket Friday! 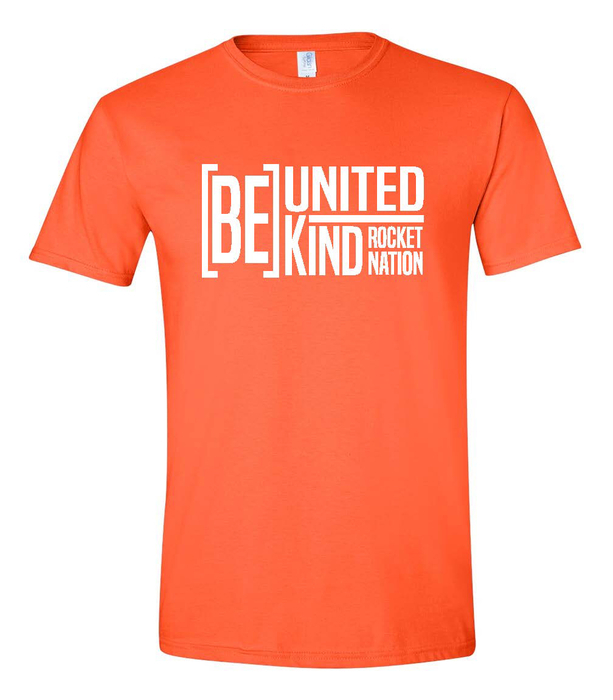 Everyone is encouraged to show their school spirit by wearing their Rockets gear. Look for more Rocket Fridays and the occasional fun-theme Friday in the future. Go Rockets! A friendly reminder the After-School Art club begins today, for K-2 students, 2:45-3:30pm. More information is available on the school website. Contact the school office if another permission slip is needed. It's time to order yearbooks for the 18-19 school year! Order forms are going home with your child today and are due by Feb. 1. To order online, visit www.ybpay.lifetouch.com and enter code 13565619 or fill out the form sent home with exact payment and return to school. First grade at East has been learning about different ways the Christmas season is celebrated around the world. Today they dresed up and celebrated the Swedish tradition of St. Lucia Day, complete with a parade around the school, cinnamon rolls, & hot chocolate! 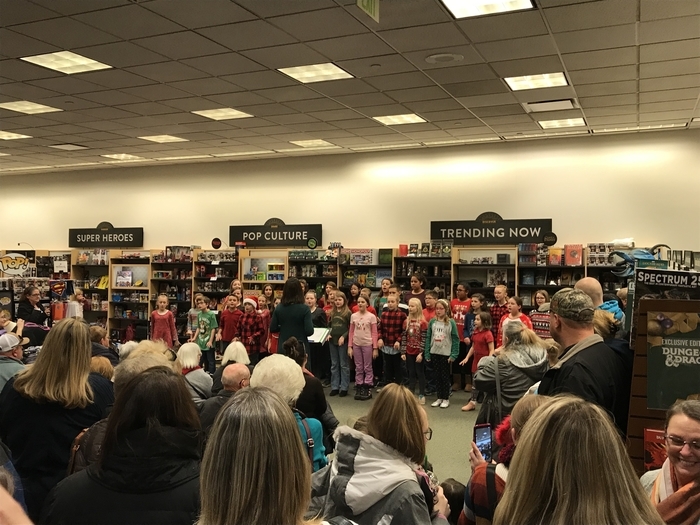 Great job performing today, choir! Remember that you can support the music boosters shopping online or in store today. 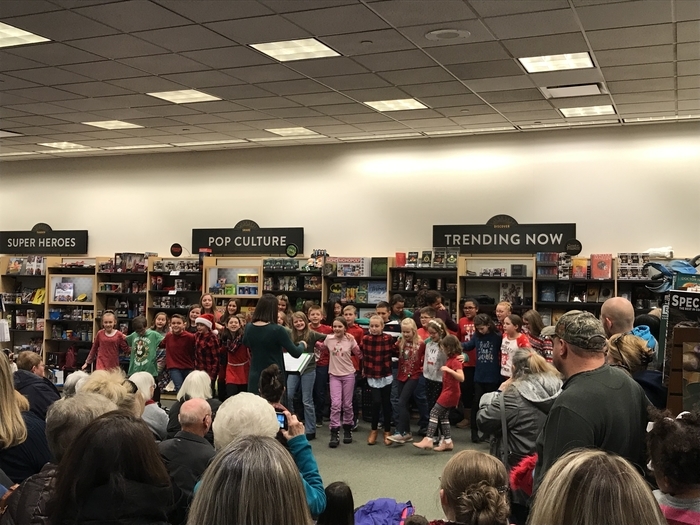 Tomorrow (Saturday) at 2:30pm, our 4th & 5th choir will perform holiday music at Barnes & Noble in Champaign. This is also a music booster fundraiser, with a percentage of sales going to our programs. Use the attached flyer to purchase in store or online. Hope to see you there! Did you know that 5th grade students in Unit 7 are now learning to play ukulele? 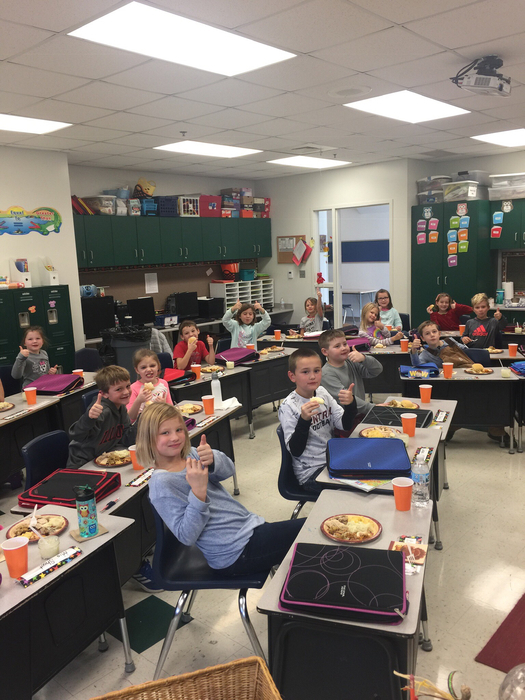 Our 5th graders at East started their lessons earlier this month and are making good progress! 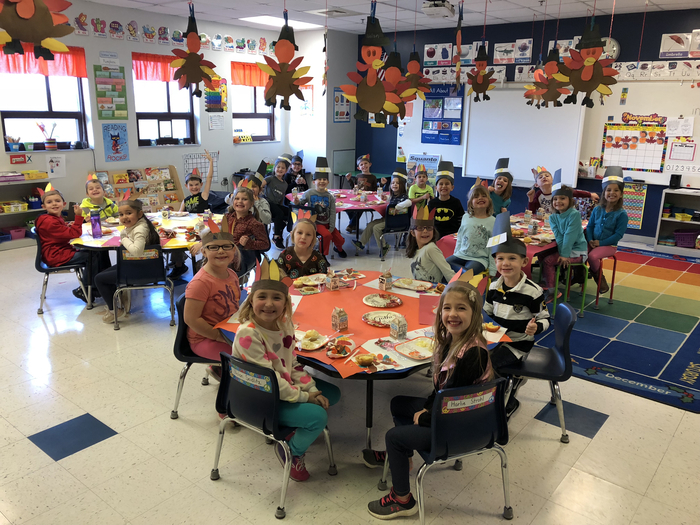 At East, we are thankful for our students, dedicated staff, and supportive community! Enjoy the break and time together everyone. Happy Thanksgiving! 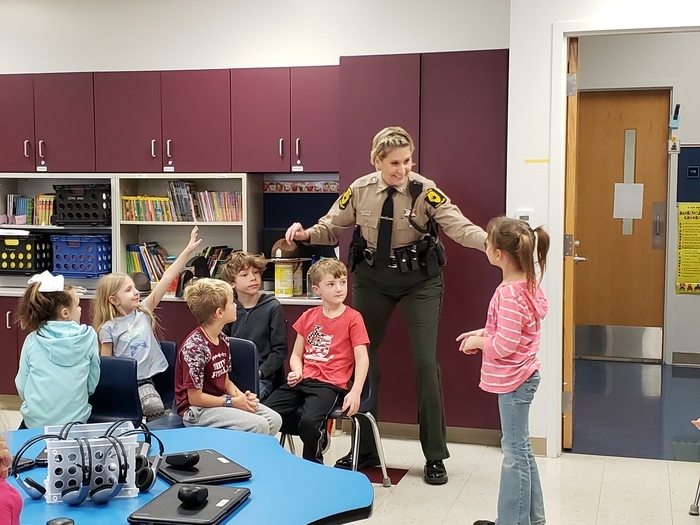 Students in 2nd Grade enjoyed a visit from ISP Trooper Tracy, aka Mama Bear, for a car safety lesson. Top takeaways: buckle up, use the proper car seat, and encourage safe driving. If you're traveling for Thanksgiving, stay safe on the road! With snow having arrived, a few reminders for recess. Everyone goes outside, weather permitting (a "feels like" temp above 20, reasonable wind). Must have boots to walk in the snow, gloves to touch the snow, and snow pants to roll or kneel. Warm and dry is our goal! Save the Date: In three weeks (Tuesday, Dec. 4) East is hosting a family night from 5-8pm. Come check out the book fair, grab some pizza, & participate in the computer-science activity, the Hour of Code. Please RSVP by returning the letter sent home or calling the school. Unity East Student Senate is hosting a small fundraiser this week, our annual Top Turkey contest. 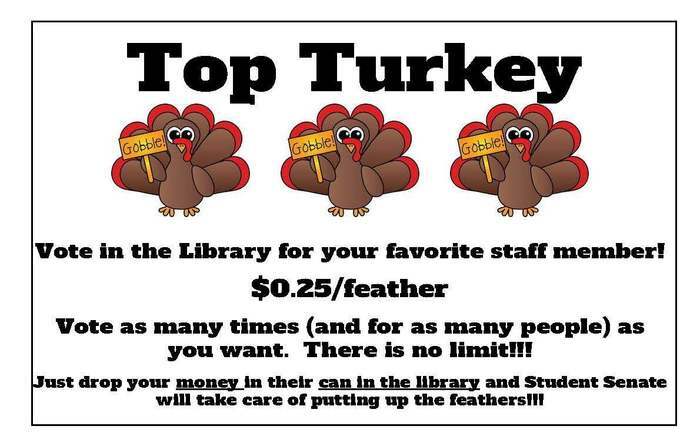 Students can vote for a favorite staff member by buying a feather for 25 cents. The teacher with the most feathers wins a lovely turkey crown and sash to wear the day before break! Thank you to everyone who helped make our luncheon and Veterans Day Program a success today! 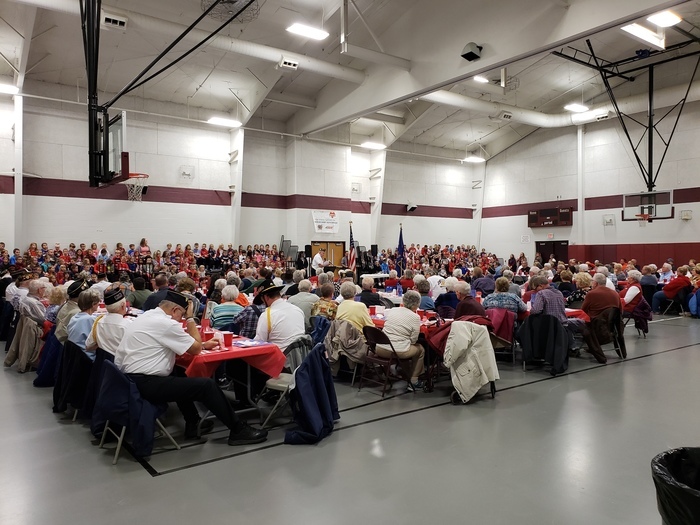 We enjoyed hosting our senior citizen and veteran guests and wish all of our local veterans and active duty service members a happy Veterans Day. We thank you for your service! 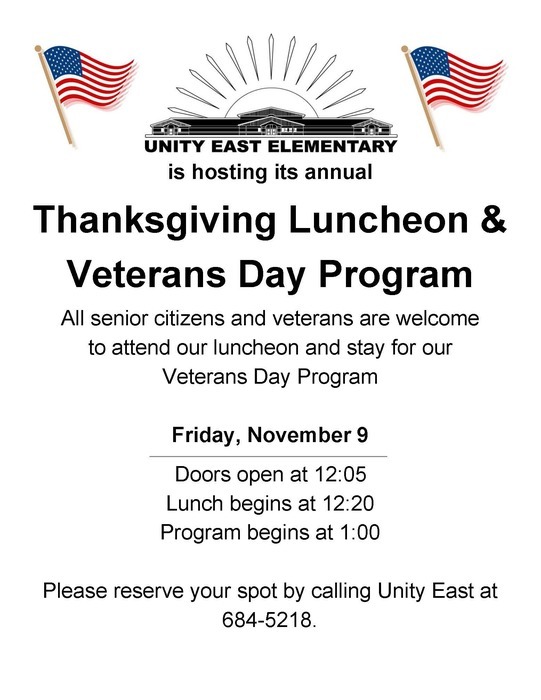 Tomorrow, Unity East will host senior citizens and veterans for our annual luncheon and Veterans Day Program. Students are encouraged to wear RED, WHITE, and/or BLUE to honor veterans at our program. The East PTO meets this evening at 6:30 in the school library. School topics for discussion tonight include our Thanksgiving Luncheon, Family Night: Hour of Code event, a school-wide survey, and a spending proposal for classroom computers and family events. All are welcome! All senior citizens and veterans are invited to Unity East this Friday, Nov. 9, for our annual Thanksgiving Luncheon & Veterans Day Program. Doors open at 12:05, lunch begins at 12:20, and our program will start at 1:00. Please reserve a spot by calling the school at 684-5218. Too much Halloween candy? The Unity FFA Chapter is partnering with Operation Gratitude to collect candy (and other small items) for troops overseas. We are accepting donations now through Nov. 5 at all Unit 7 schools. A complete list of items is posted on the school website. Unity East enjoyed our Halloween celebrations and had many great costumes today. Congratulations to the classroom costume contest winners (shown in the picture) as well as our overall winner, Zachary Ruhter, shown in his airplane costume. Have a happy and safe Halloween! Unity East held our annual law enforcement drill this afternoon with our school resource officer. We practiced our emergency response plan, including lockdown and a building evacuation. Student safety is always a priority. Proud of our students and staff! Unity East is looking forward to the Halloween fun planned for tomorrow, and we are glad to have many family and community members join us. Please review the details emailed out and posted on the website to help our day go smooth. After-school changes? Please contact the office. 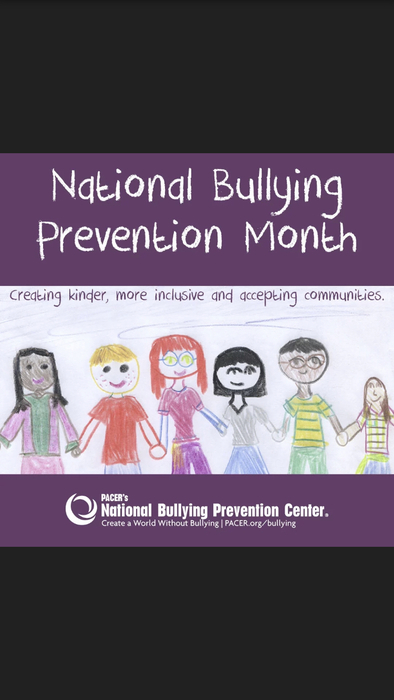 Students at Unity East have spent the past several weeks learning what it means to practice respect by Being Ready. 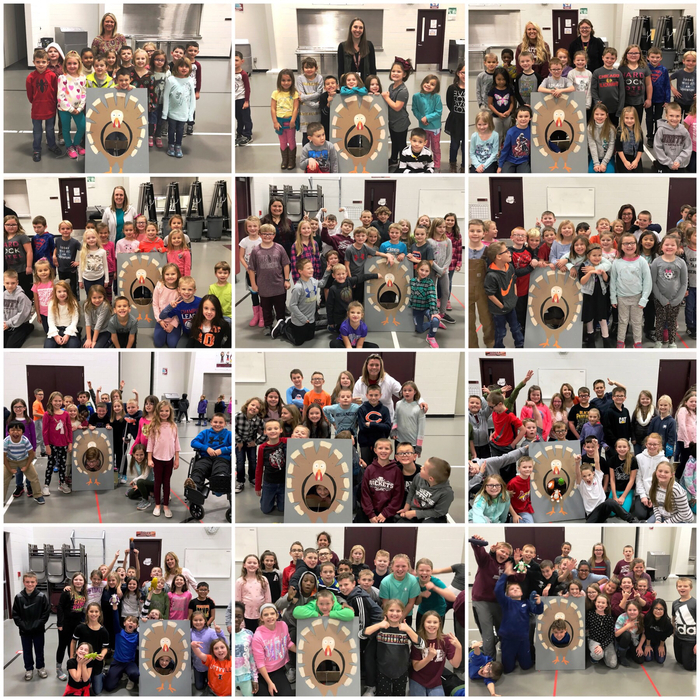 Congratulations to our students of character, who were chosen by their teachers and classmates for doing an excellent job demonstrating Respect! On Wednesday afternoon, East is hosting our annual Halloween parade and classroom parties. 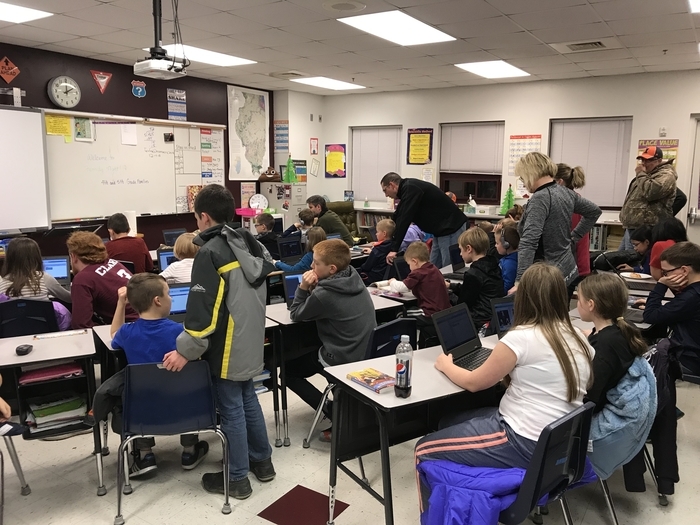 Please notify the office in advance of after-school changes by calling 684-5218, emailing Mrs. Fitch at fitcht@unity.k12.il.us, or sending a note to school with your child. A friendly reminder that tomorrow is early dismissal at 11:15am, followed by Parent-Teacher Conferences, 3:00-9:30pm. 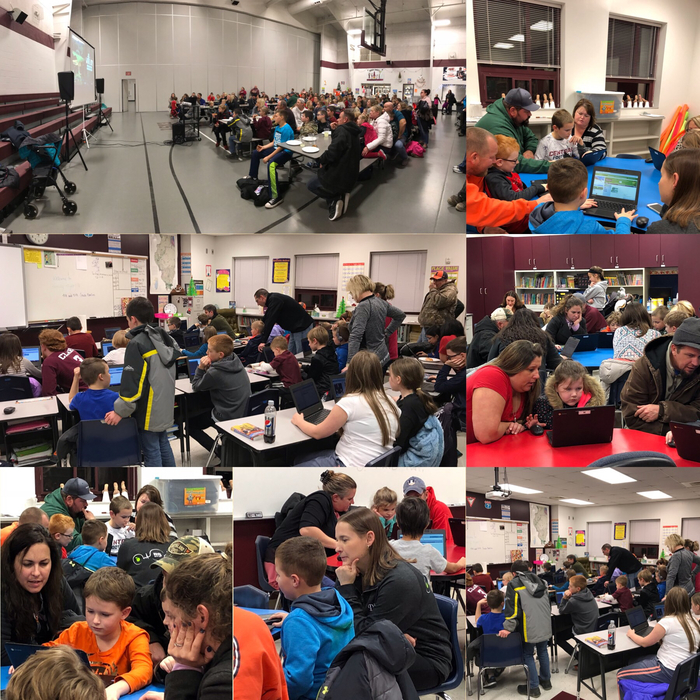 Unity East Elementary is excited to begin a new chapter in communication with our families and community through a new district app, new school website, and an emerging social media presence. Stay tuned!